There are a total of 444 hotel rooms in the Hartland Development. The convention center has indoor access to the adjacent Holiday Inn University Plaza. The six-story atrium hotel has 218 rooms, including several suites. The hotel has three salons totaling 4,000 square feet. Across the street from the Convention Center hotels include the Courtyard by Marriott with 93 rooms and the Hilton Garden Inn with 133 rooms. 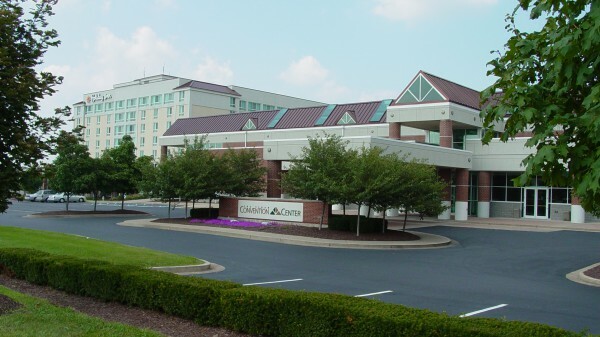 For a complete list of local accommodations, see the Bowling Green Area Convention & Visitors Bureau. It is located mid-way between historic downtown Bowling Green and I-65. Safely tucked away from the main thoroughfares of town, the area features the Sloan Convention Center complex with the CrossWinds Golf Course. The immediate area, the Hartland District features at least seven restaurants, ranging in style from fast food to sports bar, to Asian exhibition, to fine American dining, and shopping opportunities from women’s clothing to sporting goods to crafts and home décor.